The world's first circular economy road map shows the way to sustainable success. The world’s first circular economy road map shows the way to sustainable success. Finland’s national circular economy road map is beginning to create new solutions for Finland to offer a world challenged by climate change, dwindling natural resources and urbanisation. The first circular economy solutions are based on areas where Finland is traditionally strong, thus making it possible to offer tens of thousands of new jobs and generating billions of euros in added value each year. Finland has a real opportunity to create sustainable well-being and a successful carbon-neutral circular economy over the next 5 to 10 years. It maximises the conservation of materials and their value in circulation for as long as possible which, in turn, keeps the volume of emissions they produce to a minimum. The road map shows how to make the transition to a circular economy. The change requires co-operation across sectoral and industrial boundaries. In many cases, the most attractive opportunities for new operating methods, for services made possible by digitisation and for extending the circulation of materials can be found somewhere in the middle. According to Sitra estimates, the circular economy would generate 2 to 3 billion euros in added value each year by 2030. The Club of Rome estimates that over 75,000 new jobs would be created. The world’s first national circular economy road map was drafted under the direction of Sitra in co-operation with the Ministry of the Environment, the Ministry of Agriculture and Forestry, the Ministry of Economic Affairs and Employment, the business sector and other key stakeholders. The Minister of Agriculture and the Environment Kimmo Tiilikainen hopes that the circular economy will boost Finland’s economic growth and competitiveness: “The road map published today challenges us all to make changes. I’m very happy to see so many committed to advancing the circular economy. We need small-scale, rapid trials and long-term policies of change,” he says. 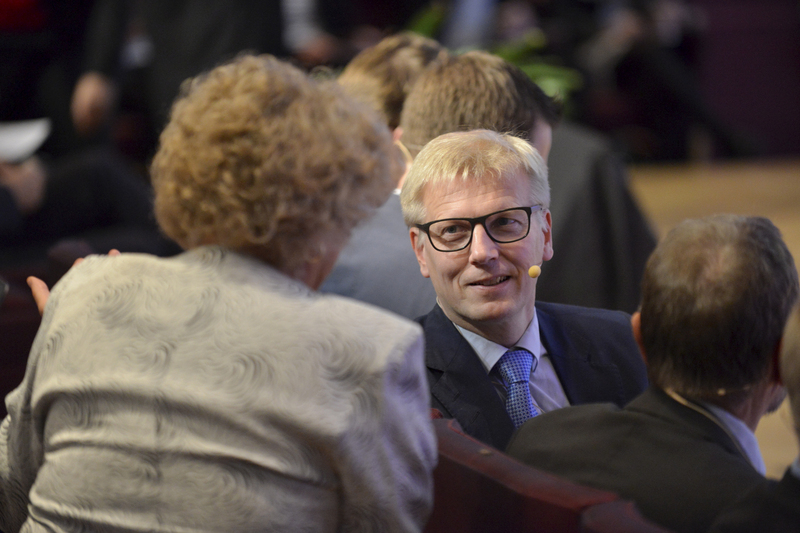 According to Tiilikainen, the circular economy road map brings together a large number of outstanding pilots. In addition to key projects, some excellent examples of pilots following the road map include: an initiative to recover waste heat; Central Finland’s investment in the use of biogas for transport; Helsinki Region’s plans to switch to high-blend biofuels; a joint VTT and Aalto University research project on new cellulose-based materials; plans in the Lappeenranta region to switch from using imported fossil fuels to domestic renewable energy for its transport needs; City of Turku plans to pilot a zero-waste region; a joint forestry sector and Tekes project for the utilisation of forestry by-products; and a Finnish Technology Industries and University of Jyväskylä project to improve the efficiency of mobile phone and tablet collection. The first steps toward a circular economy will be taken by means of five focus areas, which are based on Finland’s traditional strengths. In the first focus area, regional co-operation brings sustainable local food to everyday life: public institutional kitchens not only use locally produced foods that promote nutrient cycling, they also allow producers and processors to introduce new consumer-oriented products through their co-operation. In the second focus area, for example, valuable and rare materials primarily taken from electrical and electronic scrap are carefully recovered for re-use. In the third focus area, Finland will become a global host nation for the circular economy – in June 2017, Sitra will hold the world’s first international circular economy conference in Helsinki (www.wcef2017.com). In the fourth focus area, export concepts involving low-carbon and intelligent transportation will be created. In the fifth focus area, forestry bioproducts will be taken from laboratories for extensive testing; new products obtained from the forest that replace fossil fuels require extensive testing outside the laboratory in order to be commercialised.